Given that the most energy efficient building is one that uses no energy at all, then the star studded Naturally Cool session at the National Energy Efficiency Conference 19-20 November, in Sydney, looks like it just might create new aspirational thinking in “cool” for buildings – in both senses of the word. In a stroke of synchronicity, the Energy Efficiency Council has managed to gather two of the world’s leading experts on natural cooling in one place for its annual conference on 19-20 November. Professor Per Heiselberg from Denmark and Dr Peter Holzer from Austria both have deep and proven commitments to natural cooling – Heiselberg through what is sometimes called the “stack effect” using night time air to purge heat, and Holzer through low technology/low energy approaches. They’ll be joined in the Naturally Cool session – a highlight of the conference – in a panel that will also include Mike Rainbow of Ark Resources, who has worked on building design inspired by the physics of termite mounds to create stable temperatures, and Kylie Mills of BluKube Architecture and the Passive House Association, who will focus on how good results in comfort don’t need showy and expensive mechanical systems. If you’re thinking it’s an airconditioning fad combined with a bit of improved thermal performance, hold that thought. Natural cooling has come a long way since. And it needed to. Fads will no longer cut it. 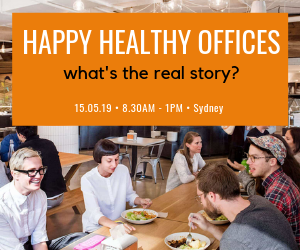 Climate change, growing interest in natural systems and biophilic design, plus the demands of the more stringent revised Building Code of Australia, are already driving new thinking in design of buildings. Some of the responses hark back to a time before sophisticated mechanical systems and complex technology. There’s a re-emergence of interest in building fabric and passive ventilation to create indoor comfort. Per Heiselberg, of Aalborg University in Denmark, for instance, is an expert on natural cooling. Sometimes called passive ventilation, or the stack effect, the strategy Heiselberg is working on involves using cooler night time air through openings at the ground level, and using prevailing breezes to drive the day’s heated inside air up and into the sky through openings in the roof. Many of these principles are ancient and traditional in hot and dry parts of the world. There, buildings often have thick walls and small windows, with shutters on the windows closed in the daytime. Some also use wind towers, solar chimneys, underground pipes and evaporative cooling. “We are transferring these approaches from warmer areas of the earth to colder areas,” Heiselberg says. These principles can be used in retrofitting buildings. “In lots of cases we just use the windows and doors that are already present, but with the addition of automatic control strategies and activators – which is more clever than having to open and close windows manually,” he told The Fifth Estate in an interview ahead of the conference. Sometimes this might not be straightforward. It might be necessary to create new roof openings and use solar chimneys with automatically opening louvres in the downstairs windows. In a hot humid environment, however, a different approach is needed because the temperature and humidity do not change at night time. In hot and humid conditions that have high cooling energy needs, airconditioning supplemented by other technologies might be needed. Peter Holzer is likewise interested in low technology interventions. “My current fascination has to do with houses for ‘good enough’ comfort using as little technology as possible. My consultancy is always looking for what we can leave out. My ideal is the unplugged house! “If we pulled the plug, would the quality of living inside still be good? Such a house would have to be able to be run by only the inhabitants if we took out the electricity and the professional mechanical stuff. Holzer is also a fan of the concept of “adaptive comfort”. Mike Rainbow of Ark Resources might well agree. 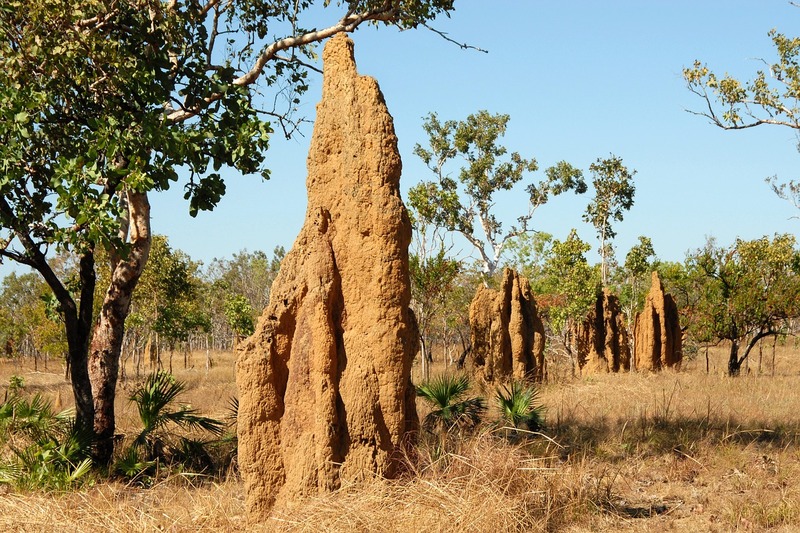 The Melbourne based engineer worked on probably the world’s most famous passive commercial building, the Eastgate development in Harare, Zimbabwe, with architect Mick Pearce, inspired by the physics of termite mounds for its passive cooling system. Managing expectations is important and probably central to the outcomes for comfort, Rainbow says. 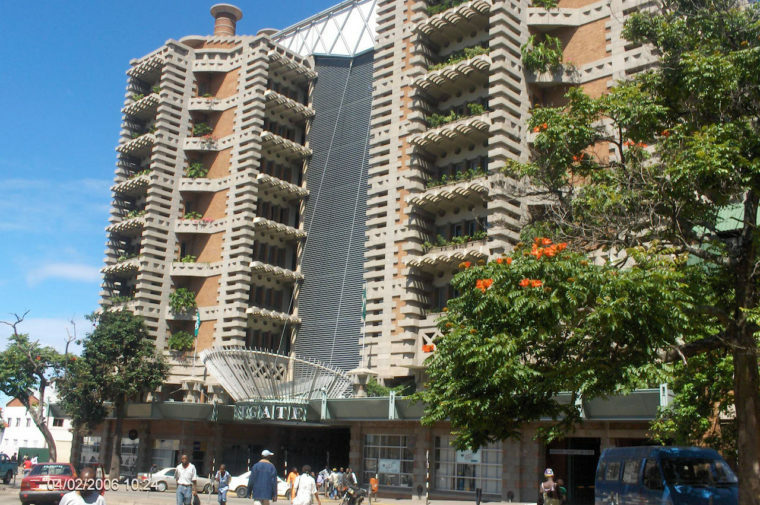 If people are well informed about the nature of the building, they will be more forgiving if the indoor temperatures are warmer than they might expect in a high tech building when it’s hot outside. The design of the building will signal the intent, Rainbow says. So a lot of chrome and glass will signal high tech systems, which create expectations of near perfect conditions. While organic natural materials will signal something more in tune with nature and external conditions. Design should be about “making the buildings legible,” he says. “I believe in working with architects; it’s a very collaborative interactive process. In Australia, clients and builders are slowly but increasingly embracing passive house design, with about 72 projects currently believed to be under way. “The normal way,” she says, “with windows and doors.” Being humans – and sometimes, a tad on the lazy side – we might need some mechanical ventilation to do the work for us, perhaps a dehumidifier to stop mould or a small airconditioning unit if the climate is hot and steamy or particularly cold. Airconditioning installers typically want to specify big units but seeing the magic light go on when they finally “get” passive house, is very satisfying, Mills says. Builders are usually the sticking point to building passive. But the big point here, she says, is that in general, all that’s needed is quality building. It’s how buildings should be built, she says. The National Energy Efficiency Conference will take place at Sofitel Sydney Wentworth on 19-20 November 2018. See website for more details. Standards Australia are an utter, utter disgrace. The suite of current insulation standards are poised to be officially revised and printed on Monday 19th November. They have obliterated all the prior discriptions about the need to account for radiation impacts on insulation materials, replaced with incomprehensible northern hemisphere based mathethical formulae, making trivial pathethic accounting for radiation. But not Australian levels. Absolutely no explanatory notes about what the hell the new standard means. I attemted to challenge their dirty work in the official Second Public Comment phase which closed 20 September, and my detailed 4 page critique was junked as “off topic”. But they dont reply to submissions, thats their policy of deceit and cunning. They have everything stitched up. By remaiming silent Standards can push through whatever they want. Come on Standards Australia. 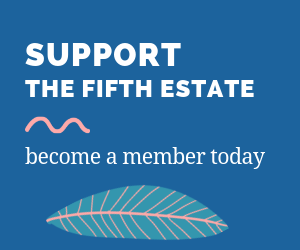 Step forward and contribute to the Fifth Estate. But you won’t, because Industry chairs and writes the Standards. We have no idea what the Public Advocate on Committee BD58 thinks or does, because whatever is put in front of him will be overridden by the tragic and corrupt 75% Consensus rule, ie if a few voting members did vote NO their opinion is locked away and hidden. The Governance Review April 2018 into Standards identified this, and called for open public participation on Standards at all stages. And Standards just sails on pretending to incorporate the Public Interest. They won’t incorporate Public Participation, because Industry’s power of the Committee-In-Confidence racket would be blown to smitherenes. Readers, haven’t you notificed how Standards and the Building Codes Board (ABCB) are never prepared to jump into the COMMENTS of the Fifth Estate? They are cowards. They will never support pioneering research for real in-situ insulation performance, particularly high temperature. You wonder why? Because a slew of bulk insulation materials will fail under extended duration high heat. And so readers, yet again ‘captured standards committees’ are forced onto the innocent and helpless public, who naively believe that the standards are ‘fit for purpose’. Under high Australian heat levels, they fail. With 40-50degC about to hit, these revised insulation standards are grossly misleading the public. Yes, there is a stronger word. Come on Standards, say something. You are so so proud of issuing of Standards with gusto and fanfare. 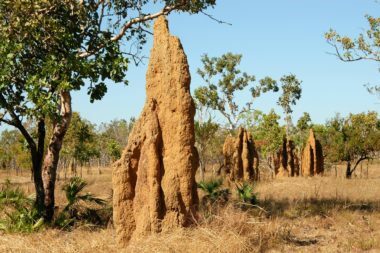 Yes, the termite ventilation is highly relevant to Australian Building Codes. Particularly considering they are premised on the fraud of a fully airconditioned house. The most expensive form of cooling on the planet. Radiant cooling to the clear night sky is very important for sleeping in the humid tropics. For some crazy reason Standards Australia is about to exclude all radiant heat transfer from the Standards on thermal insulation. How dumb can you be? I hope the conference discusses the relevance of incorporating with simple natural ventilation techniques , the necessity of incorporating insulating materials that permanently repulse high level solar radiation. That product is aluminium foil insulation, which entered the Australian building market in 1953. It will be interesting if any of the conference speakers raise the subject of foil insulation. I bet they don’t. Anyhow, a few more days of 50degC will force the truth to come out.